The Belko Experiment, arguably the scrappy underdog of 2016’s film selection, proved to be a rare cinematic treat – Office Space meets Battle Royale, as our own Matt Donato so aptly put it. Sandwiched between Guardians of the Galaxy and its rip-roaring sequel, The Belko Experiment also lent James Gunn the chance to write and produce a tight-knit thriller, the likes of which we haven’t seen from the filmmaker since his days on Slither. 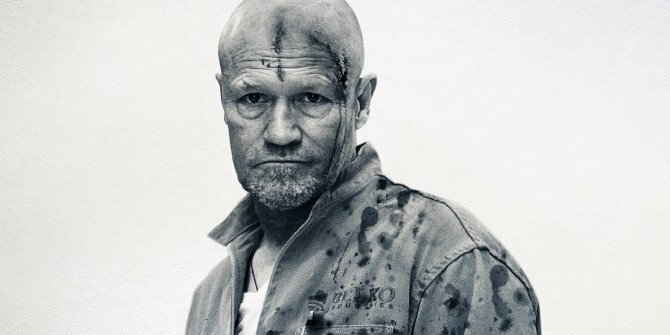 He’s about to circle back to the genre thanks to his plum horror gig with Universal and Elizabeth Banks, but what about the chances of a true sequel to The Belko Experiment? I don’t know. The movie was, I guess, a little bit of a success, but it’s always hard to guess that sort of thing. As of now, there are no plans that I know of – but we sure had a lot of fun doing that. Those comments were made at a recent MCM Comic-Con in Birmingham, where Gunn was in town promoting his involvement in Avengers: Infinity War. And just like Guardians of the Galaxy volumes 1 and 2, the forthcoming Marvel sequel will see him perform motion capture for the irreverent Rocket Racoon. He’ll seemingly take a backseat to Earth’s Mightiest Heroes when the lights go down on April 27th, while we’re also learning that Infinity War is as much Thanos’ origin story as it is an Avengers sequel. But what are your thoughts on Sean Gunn’s view of The Belko Experiment and its chances of a sequel? You can, as always, chime in via the usual place.